Point of Success Premium includes all the features a pizzeria or other delivery restaurant needs to ensure on-time service! Every order in the delivery queue is displayed from the moment it’s entered, making it easier to assign orders efficiently. The oldest waiting order in the system is always at the top of the list for rapid dispatch. Each item on an order is tagged with a guest ID. 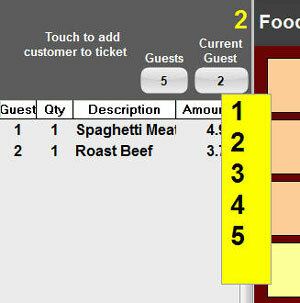 Use this feature to separate multiple guest take-out and delivery orders! As delivery drivers return from deliveries, each staff member logs back into the system. The longest waiting driver is assigned to the next dispatched order to control even distribution of assignments. 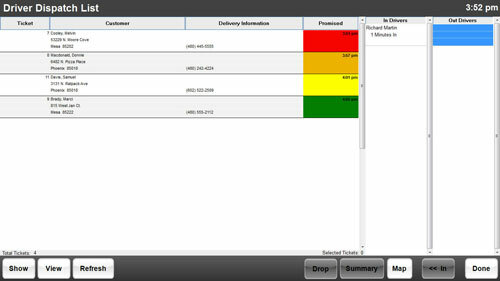 Orders on the delivery dispatch screen are shown in order of promised delivery time. Orders approaching the promised time are flagged yellow, while overdue orders are flagged red. Track delivery drivers, their time since checking in or out, and the orders assigned for a delivery run. Delivery dispatch tickets with complete order information, customer address information, contact information and delivery instructions make every delivery faster and easier. Take mapping to the next level with 86 Borders. Do more than just organize driver's delivery routes. 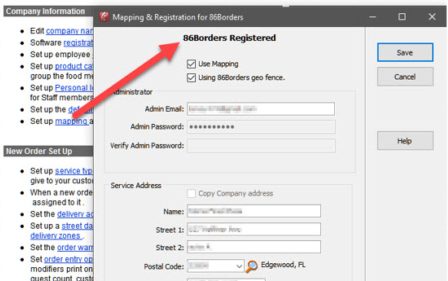 Allow 86 Borders to communicate with your customers! No more lost time tracking down drivers locations or calling customers who do not answer the door! 86 Borders uses Geo-Fence technology to track your driver's current location. See exactly where drivers are turn-by-turn, just like Uber! Customers receive a text message when the driver is on the way. A link is provided allowing them to follow the driver as he nears their location. You’re prepared when a customer calls for information on their order. Informative screens list the orders still in production, the orders that are out on delivery, and the details of each order. Detailed order information is available at the touch of a button. See the customer’s address, driving directions, ordered items, and delivery, promise and dispatch times. And if you add 86 Borders you can see where the driver is currently with the click of a button. You no longer need to call the driver to get an estimated delivery time! Reports detailing delivery driver production help a manager to identify their best drivers. Retaining and rewarding the best employees contributes to a restaurant’s success! Opening, closing and reconciling driver banks is fast and easy with Point of Success. Reports detail the opening bank balance, orders assigned for delivery, cash drops, and balance due from a driver, simplifying end-of-shift procedures. For larger restaurants a computer can be dedicated to delivery dispatch. 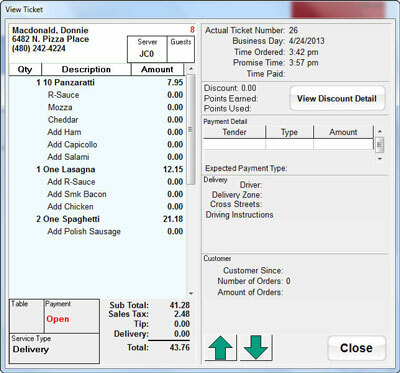 Smaller restaurants can save by using the same computer for order entry and dispatch. Additionally, any computer on the network can be used for any Point of Success function. Premium Feature Indicates features available only in Point of Success Premium.